The Concert Band is a competitive UIL performing band categorized as the Sub Non-Varsity B band at Cypress Falls. This band is comprised of 50-60 students ranging from freshman to seniors and performs literature at equal or higher level than bands of the same classification in our region. The band is directed by Mark Edenfield and meets during 2nd period in the Spring semester. After school requirements include but are not limited to sectionals once a week, full rehearsals once a week, and at a minimum, 3 after school performances. The Symphonic Band is a competitive UIL performing band categorized as the Sub Non-Varsity A band at Cypress Falls. This band is comprised of 50-60 students ranging from freshman to seniors and performs literature at equal or higher level than bands of the same classification in our region. The band is directed by Mel Marandola and meets during 3rd period in the Spring semester. After school requirements include but are not limited to sectionals once a week, full rehearsals once a week, and at a minimum, 3 after school performances. The Symphonic Winds is a competitive UIL performing concert band categorized as the Non-Varsity band at Cypress Falls. This band is comprised of 50-60 students ranging from freshman to seniors and performs literature at equal or higher level than bands of the same classification in our region. The band is directed by Ryan Mohney and meets during 4th period in the Spring semester. After school requirements include but are not limited to sectionals once a week, full rehearsals once a week, and at a minimum, 3 after school performances. The Wind Symphony is a competitive UIL performing concert band categorized as the Varsity band at Cypress Falls. This band is comprised of 50-60 students typically ranging from sophomores to seniors and performs literature at equal or higher level than bands of the same classification in our region. The Wind Symphony, being the Varsity group, consists of the highest caliber of players in the school performing the most challenging music. The band is directed by Mark Edenfield and meets during 4th period in the Spring semester. After school requirements include but are not limited to sectionals once a week, full rehearsals once a week, and at a minimum, 3 after school performances. 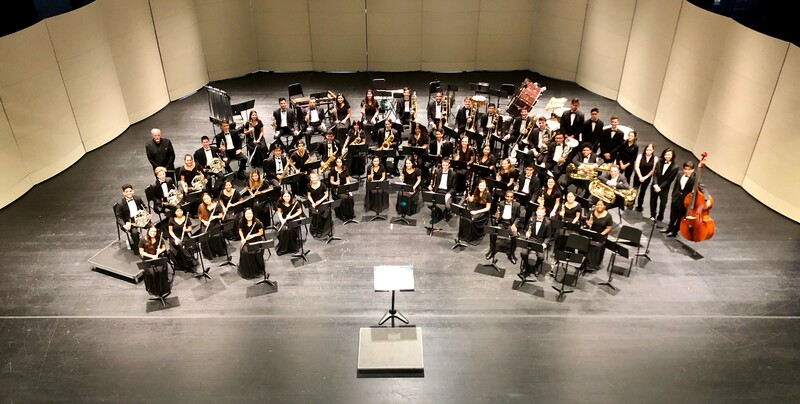 Every other year, this band also competes in the UIL State Honor Band process in which multiple performances and recordings are made to submit. This process typically extends performances beyond UIL by a number of weeks in order to achieve the highest level of quality attainable.